Catholic Schools Tuition Assistance: Our Catholic Schools guide and shape our Catholic leaders and business people of tomorrow. All Catholic families that desire a Catholic education for their elementary children should have this option available. In the past year, scholarships were provided to assist over 2,000 students in 27 Catholic schools, who would not have otherwise been able to attend Catholic elementary school. 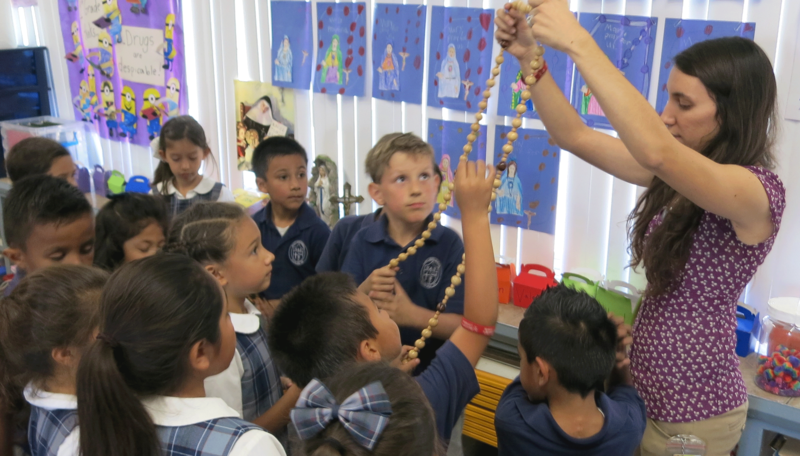 Parish Stewardship Education: The Parish Stewardship Education ministry fosters the practice of good Christian Stewardship throughout all parishes and centers in the Diocese of Orange. All individual Catholics and the diocese itself are called to model Christian stewardship, wherein individuals more fully live their baptismal call to discipleship. 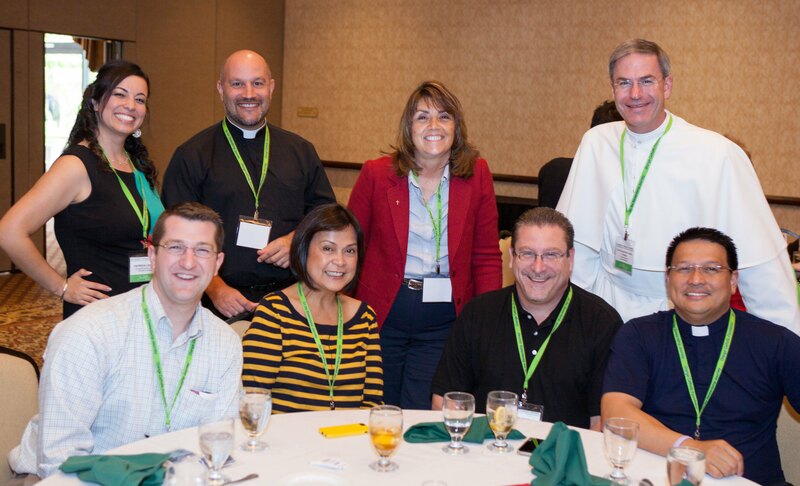 Stewardship is promoted through ongoing formation, conferences, workshops, networking meetings and by providing practical support and tools to assist clergy and lay leaders as they facilitate conversion of heart and the sharing of individual gifts with the Body of Christ. 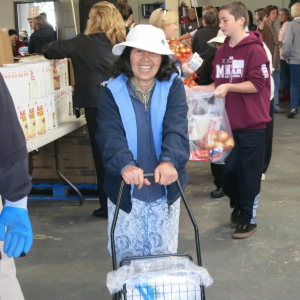 Catholic Charities of Orange County: To serve people in need, strengthen family and community, support parish ministries and extend God’s love to all, Catholic Charities of Orange County served more than 166,000 individuals in the past year. Over 2,600 families were counseled, over 14,000 individuals were assisted with citizenship services, approximately 177 families were assisted through Natural Family Planning, over 350 individuals with intellectual disabilities were provided retreat and 1,100 families were provided respite care through Camp ReCreation, and over 8,500 individuals received counseling through the New Hope Crisis Hotline. In addition, over 1,500 senior residents received services in our low-income housing. 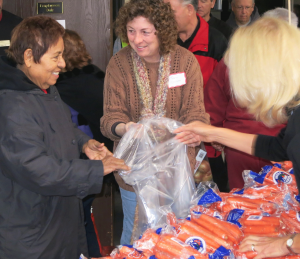 For more information regarding Catholic Charities, visit www.ccoc.org. Catholic Deaf Community: The religious and social support offered to Catholic deaf adults and children allows them to grow in their understanding of their giftedness and empowers them to become all they can be in our Catholic community and the world. Each year, religious education, sacramental preparation and liturgy are provided to hundreds of people in American Sign Language. Office of Catholic Restorative Justice and Detention Ministry: Nearly 300 volunteers provide spiritual formation and sacramental life for our brothers and sisters who are incarcerated in 12 facilities throughout the County of Orange. In the past year, nearly 37,000 visits were made to juveniles and adults in four different languages. This ministry also works with parishes to form support groups to help restore relationships broken by crime including the victim, families, local community and the offender. Diaconate Formation and Support: The Diaconate ministry encourages men to discern their calling to serve as Deacons and supports them through formation and continuing education. There are currently 35 men discerning this vocation. 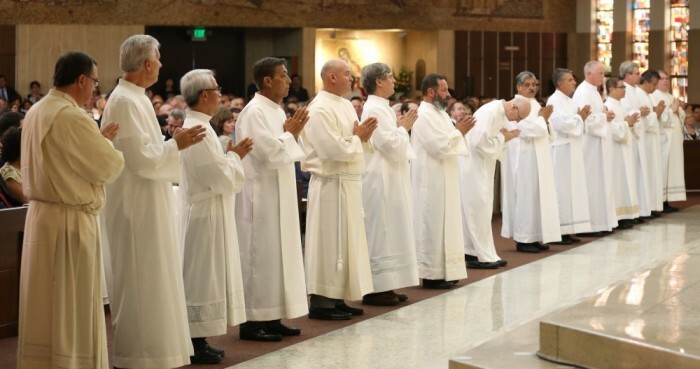 120 active, permanent deacons serve a unique role in our diocese that provides vital assistance to our Bishops, parishes and the wider community through their primary charism of service to the poor, sacramental and liturgical support, and other vital functions in the Church. 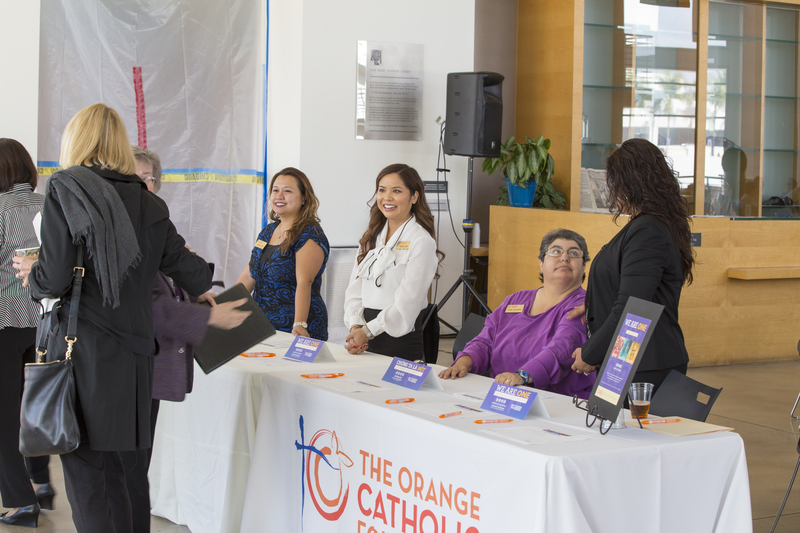 In an interview hosted by OC Catholic TV, Deacon Frank Chavez (Director of the Office of the Diaconate for the Diocese or Orange) gives us a deeper look into the Diaconate order. Click here to watch the video “Understanding the Diaconate”. Vocations: The Vocations ministry provides opportunities for men to learn about and discern their calling about the possibility of becoming a diocesan Catholic priest. The ministry provides information, mentoring and support to all in discernment, candidates and seminarians currently on their journey. Priest Continuing Education: This ministry is provided through the Ministry to Priests Office and provides scholarships for post-graduate education and well-deserved sabbaticals for our priests to enable them to fully develop their gifts and provide support for a vibrant ministry life. Seminarian Education: Our priests are our link to providing the sacramental life for the faithful and pastoral support to all Catholics in the Diocese of Orange. 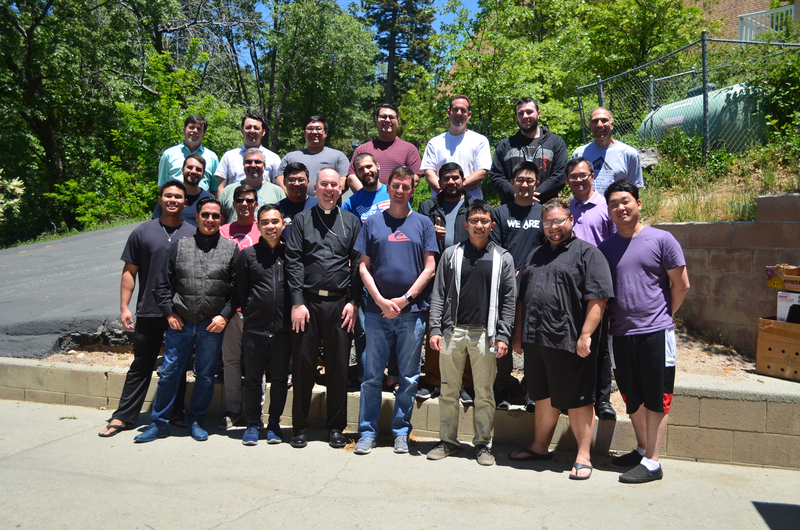 The PSA funds seminarian education for 35 men aspiring for the priesthood in six seminaries in five countries for the Diocese of Orange. In 2016, God-willing, 6 men will be ordained to the diocesan priesthood in 2017. Diocesan Mission and Parish Philanthropic Development: Provides a safe harbor for charitable gifts through endowments, major gifts, planned giving, the Pastoral Services Appeal, the For Christ Forever Capital Campaign and other important advancement efforts while nurturing Stewardship as a way of life throughout our diocese. 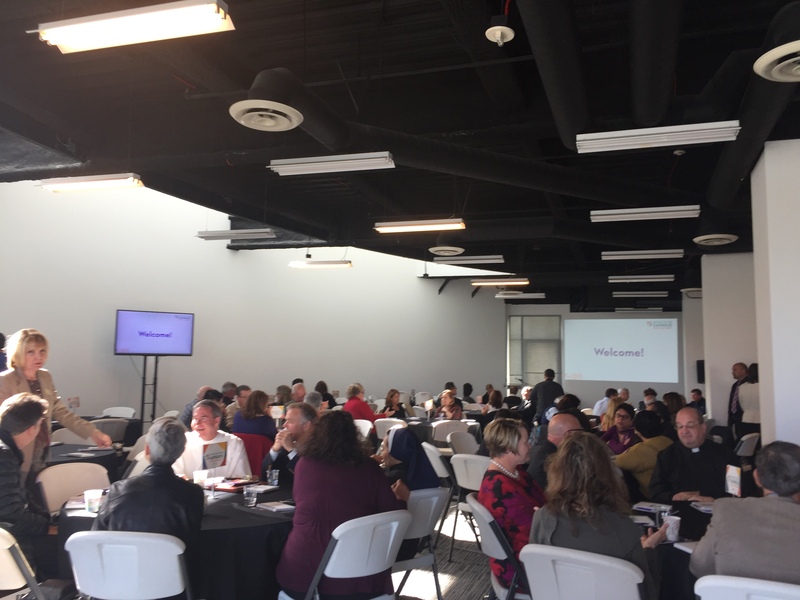 The OCF also provides consultation to parishes for planned giving, parish capital campaigns, Stewardship education and other initiatives that support the vision and mission of every parish and center. Pastoral Services Appeal Administration: Provides campaign planning, design, training, resources and management of the Pastoral Services Appeal. Processes all pledges and payments, providing pledge redemption, online gifts, overall financial management and awarding of grants and distribution of parish rebates for the PSA, which works out to 6% administration for the total PSA campaign, including Parish Rebates.